Jazz Times writes an article about the slide trumpet... who knows why? with Davell Crawford, John Medeski, Arturo O'Farrill, Amy Helm, Paul Shaffer, Tom McDermott, Brian Mitchell, Richard Julian and secret guests!! The Hot 9 and Jambalaya Band!! 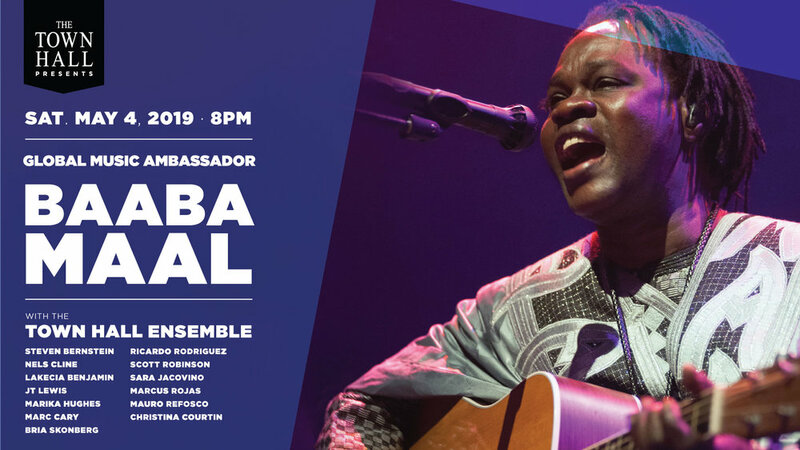 This show brings together three cities that have been focal points in the evolution of the music known as Jazz: New Orleans, Havana and New York. Hosted by multi Grammy winners Arturo O’Farrill & The Afro Latin Jazz Orchestra, the show features the great New Orleans pianist, NEA Jazz Master Ellis Marsalis, patriarch of New Orlean’s great musical family. 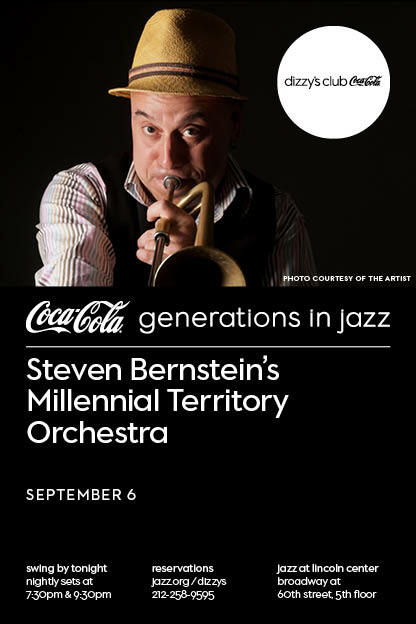 At the same time it is also a meeting of two of New York City's most creative, accomplished and mischievous arrangers – O’Farrill and slide-trumpet virtuoso Steven Bernstein, along with two of the city's most exciting and innovative large ensembles the Afro Latin Jazz Orchestra and the Hot 9’s. The Cuba & New Orleans spirit is filtered and seasoned by the New York style of experimentation both O’Farrill & Bernstein bring to the table. Expect “Upside Down and Turned Around” takes and various traditional themes and non-traditional excursions. Bringing together New Orleans, Havana and New York, Arturo O’Farrill & The Afro Latin Jazz Orchestra welcome the great New Orleans pianist, NEA Jazz Master Ellis Marsalis, patriarch of New Orleans great musical family. Plus the meeting of two of NYC's most creative, accomplished and mischievous composers & arrangers – O’Farrill and slide-trumpet virtuoso Steven Bernstein, along with his powerhouse band, the Hot 9. Cuba & New Orleans flavor is seasoned by the New York style of experimentation both O’Farrill & Bernstein bring to the table. 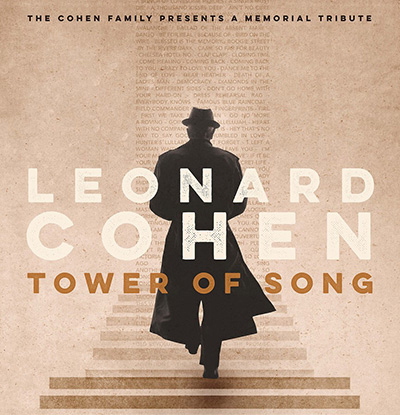 The family of Leonard Cohen invites fans from around the world to join them, along with renowned musicians, the Prime Minister of Canada and the Premier of Quebec in celebrating Cohen’s legacy for Tower of Song: A Memorial Tribute to Leonard Cohen at the Bell Centre in Montreal on Nov. 6, 2017. Participating artists include Elvis Costello, Lana Del Rey, Feist, Philip Glass, k.d. lang, Wesley Schultz and Jeremiah Fraites of The Lumineers, Damien Rice, Sting, Patrick Watson, Steven Bernstein and Adam Cohen. Thrilled to announce Nels Cline's addition to Sexmob & Medeski - City Winery's night, this August 9th, 2017. "And there's something a little garage bandy (ph) about Sexmob's vibe in a good way. Their new CD, "Cultural Capital," was recorded at a home studio and comes in a plain, brown cardboard sleeve. Brass man Steven Bernstein writes the catchy tunes which are peppered with dance beats from tango to Jamaican dub to Jewish wedding. They can play tight but also have gleefully rude side. Saxophonist Briggan Krauss is their go-to guy for that." Listen/Read Kevin Whitehead's review here! * Physical copies of Cultural Capital are available for sale exclusively at Downtown Music Gallery.